CIB Accountants & Advisers respects your privacy and is committed to treating the personal information we collect in accordance with the Australian Privacy Principles in the Privacy Act 1988 (Cth) (Privacy Act) and the subsequent 2012 and 2016 amendments (Mandatory Data Breach Notification), The General Data Protection Regulation (GDPR) and the APES 110 Code of Ethics for Professional Accountants. CIB Accountants & Advisers operates from a number of locations and through a number of different entity structures. In this policy ‘CIB Accountants & Advisers’, ‘we’, ‘us’ and ‘our’ mean all firms carrying on business under one or more of the following names ‘CIB Accountants & Advisers’; ‘CIB Private Wealth Services’; ‘CIB Finance’; ‘Artificial Intelligence Specialists’; and includes all related partnerships, trusts and corporate entities. This policy outlines the obligations CIB Accountants & Advisers has in managing the personal information we hold about our clients, potential clients, contractors and others. This includes information such as your name, email address, identification number, or any other type of information that can reasonably identify an individual, either directly or indirectly. This policy is not intended to, nor can it, replace the provisions Acts themselves. As a provider of accounting, advisory, audit, wealth advisory & finance broking services it may be necessary, and in some cases be a legislative and regulatory requirement, for us to collect and hold detailed personal information. You have a right not to provide information that can identify you. If, however, you withhold your personal information, it may not be possible for us to provide you with our products and services, or alternatively, may affect the adequacy or appropriateness of advice or services provided. CIB Accountants & Advisers may collect personal information from you in a variety of ways, including when you interact with us electronically or in person. This includes, but is not limited to, when you provide feedback, when you provide information about your personal or business affairs, change your content or email preference(s), respond to surveys and/or promotions, provide financial or credit card information, or communicate with your advisor. Some of the personal information is “sensitive information” as defined by the Privacy Act. Sensitive information includes health information, information about your race, ethnic origin, political opinion, religion, trade union or other professional or trade association membership, sexual preference(s) and criminal record. We will only collect this information as permitted under the Privacy Act. Sensitive information will be used and disclosed only for the purpose for which it was provided or a directly related secondary purpose, unless you agree otherwise, or where certain other limited circumstances apply (e.g. where required by law). There may be times when we receive personal information that we do not solicit. If this occurs, we will determine if you have given your consent and the information is necessary for us to provide our services, or whether the collection is required or authorised by or under an Australian law or a court/tribunal order. If it is, then the information will be dealt with in accordance with the Australian Privacy Principles as if the information had been solicited. If it is determined that you have not consented to the information being disclosed to us and that there is no requirement at law for us to collect that information, we will destroy or de-identify the information as soon as practicable, provided it is lawful and reasonable to do so. In providing our services we may need to disclose personal information to a third party. This will be done to the extent that it is permitted by law and set out in this Policy. ■ anyone else to whom you consent, such as banks, accountants and other financial institutions. Where Wealth Advisory services are provided to you, we are required under the Code of Professional Practice of the Financial Planning Association of Australia, to make certain information available for inspection by the Association on request to ensure ongoing compliance with mandatory professional standards. The Corporations Act has also provided the Australian Securities and Investments Commission with the authority to inspect certain personal information that is kept on our files about you. Where such an inspection takes place, this may involve the disclosure of your personal information to representatives of the Australian Securities and Investments Commission.  Where you engage us to attend to your tax affairs we will assume (unless you advise otherwise) that you have specifically authorised us to deal directly with the Australian Tax Office (the “ATO”), the New Zealand Inland Revenue or other taxation agency in a foreign jurisdiction regarding day to day type matters. If, in the course of our dealings with these bodies, they request information regarding you that we believe is outside of the scope of our authority, e.g. Tax Office audit, we will request your specific authority before complying with the relevant request. If we are required by law to disclose information about you or your organisation, we must co-operate fully. However, where it is possible and lawful for us to do so, we will advise you that the information has been disclosed. CIB Accountants & Advisers is committed to ensuring that the information you provide to us is stored securely. In order to prevent unauthorised access or disclosure, we have put in place suitable physical, electronic and managerial procedures to safeguard and secure information and protect it from misuse, interference, loss and unauthorised access, modification and disclosure. Our employees are required to respect the confidentiality of personal information and the privacy of individuals, and privacy and data protection training is undertaken. As part of that training, all employees are required to read this policy and understand their obligations in regard to personal information. Each year all employees are required to acknowledge that they have complied with all aspects of this policy and kept themselves abreast of any changes to this policy. Where we employ data processors to process personal information on our behalf, we only do so on the basis that such data processors comply with the requirements under the Australian Privacy Act and GDPR and have adequate technical measures in place to protect personal information against unauthorised use, loss and theft. Depending on the nature of the engagement or circumstances of personal information collection, we may disclose your personal information to entities overseas to fulfil the purpose for which the personal information was collected or related purpose in accordance with the Privacy Act. These may include, but are not limited to Australia, New Zealand, Malaysia, the Philippines and India. CIB Accountants & Advisers has offices and/or facilities in Australia. Our suppliers and contractors are situated in Australia, New Zealand and Malaysia. The hosting facilities for our website are situated in Australia. We may also store, process or back up your personal information on servers that are located overseas (including through third party service providers). These servers are commonly located in (but are not limited to) Malaysia. Data Transfers to each of these countries will be protected by appropriate safeguards, including one or more of the following: the use of standard data protection clauses adopted or approved by the European Commission which you can obtain from the European Commission Website; the use of binding corporate rules, a copy of which you can obtain from our Privacy Officer (see contact details below). There will be circumstances in which the disclosure of the information is required or authorised by Australian law or a court/tribunal order, the Code of Ethics for Professional Accountants, or DFK ANZ as part of their quality review program or where you have given your direct consent to disclose it. You may request details of personal information that we hold about you in accordance with the provisions of the Privacy Act 1988 (Cth), and to the extent applicable the EU GDPR. If you would like a copy of the information which we hold about you or believe that any information we hold on you is inaccurate, out of date, incomplete, irrelevant or misleading, please email us at privacy@cibaccountants.com.au. We will require you to verify your identity and to specify what information you require. We reserve the right to refuse to provide you with information that we hold about you, in certain circumstances set out in the Privacy Act or any other applicable law. If access is denied we will explain the reason why it is denied. We endeavour to respond to your request for details of personal information we hold, however you should anticipate that it may take some time to process your request as there may be a need to access the information from our archives. We endeavour to provide you with details of personal information we hold free of charge, however we reserve the right to charge you a fee for providing you with the information. If we propose to charge a fee we will advise you in advance. We endeavour to ensure that the personal information we hold is accurate, complete and up-to-date. Changes inevitably are required and unfortunately errors do occur from time to time. You should contact us immediately in order to advise us of any changes to the personal information we hold about you. ■ we process your personal information as a Processor and/or to the extent that we are a Controller as defined in the GDPR. ■ we must establish a lawful basis for processing your personal information. The legal basis for which we collect your personal information depends on the data that we collect and how we use it. ■ we will only collect your personal information with your express consent for a specific purpose and any data collected will be to the extent necessary and not excessive for its purpose. We will keep your data safe and secure. ■ we will also process your personal information if it is necessary for our legitimate interests, or to fulfil a contractual or legal obligation. ■ we process your personal information if it is necessary to protect your life or in a medical situation, it is necessary to carry out a public function, a task of public interest or if the function has a clear basis in law. ■ we do not collect or process any personal information from you that is considered “Sensitive Personal Information” under the GDPR, such as personal information relating to your sexual orientation or ethnic origin unless we have obtained your explicit consent, or if it is being collected subject to and in accordance with the GDPR. ■ you must not provide us with your personal information if you are under the age of 16 without the consent of your parent or someone who has parental authority for you. We do not knowingly collect or process the personal information of children. If you are an individual residing in the EU, you have certain rights as to how your personal information is obtained and used. CIB Accountants & Advisers complies with your rights under the GDPR as to how your personal information is used and controlled if you are an individual residing in the EU. ■ to object against automated decision making and profiling. When you come to our websites (cibaccountants.com.au, cibprivatewealth.com.au and cibfinance.com.au), we may collect certain information such as browser type, operating system, website visited immediately before coming to our site, etc. This information is used in an aggregated manner to analyse how people use our site, such that we can improve our service. In addition, cookies may be used to serve relevant advertisements to website visitors through third party services such as Google AdWords. These advertisements may appear on our websites or other websites you visit. Our websites may from time to time have links to other websites not owned or controlled by us. These links are meant for your convenience only. Links to third party websites do not constitute sponsorship or endorsement or approval of these websites. Please be aware that CIB Accountants & Advisers is not responsible for the privacy practises of other such websites. We encourage our users to be aware, when they leave our website, to read the privacy statements of each and every website that collects personal identifiable information. You may wish to participate in the various social media platforms hosted by us and which we make available to you. These platforms are designed to facilitate and share content. We cannot be held responsible if you publicly share personal information on these sites that is subsequently used, misused or otherwise appropriated by another party/entity. If you have any complaints about our privacy practices, please feel free to send in details of your complaints to privacy@cibaccountants.com.au. We take complaints very seriously and will respond shortly after receiving written notice of your complaint. If you would like access to your personal information, or have any questions about privacy-related issues, you should contact the Privacy Officer on +61 2 9683 5999 or via email at privacy@cibaccountants.com.au.